Having a Philadelphia wedding? 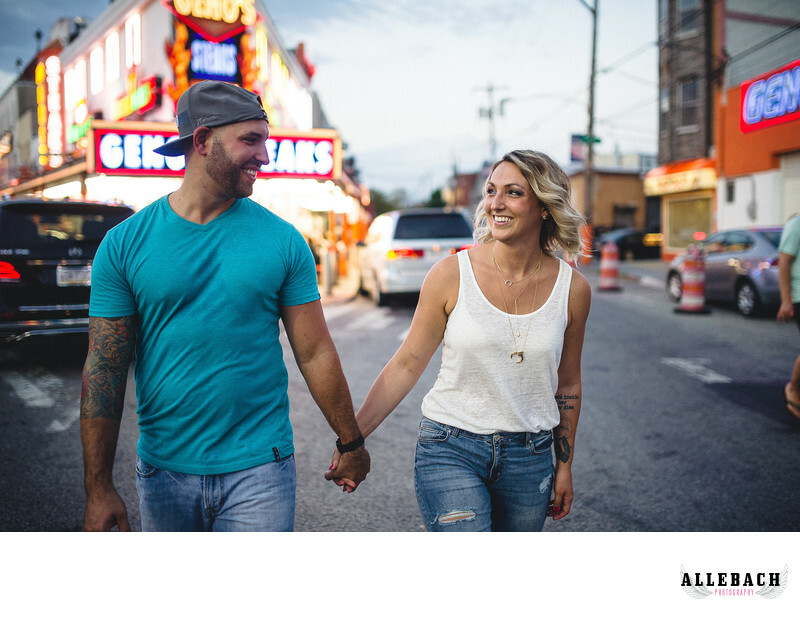 We took to the Streets of South Philly for this engagement session. Of course we had to grab a cheesesteak at the end of the photo session. I mean how can you skip an opportunity like that. Allebach Photography provides comfortable, creative, beautiful engagement photography and wedding photography to couples in love. They are LGBT friendly and have been rated in the top 100 wedding photographers in the US. In fact they are the only Philadelphia wedding photographer to receive this distinction. Whether you want a simple wedding in the Philadelphia suburbs or a fancy wedding at the Down Town Club or Vie. Contact Mike today for the best photos. Location: 1219 S 9th St, Philadelphia, PA 19147.